Lock in a great price for Hotel Royal – rated 9.2 by recent guests! Room was amazing and very comfortable. Breakfast was delicious! Very clean and well mantained with quaint charm and friendly staff, at a great location and great price. This was an amazing little hotel that prides itself on being privately owned. For the price, this hotel was a steal. The breakfast was absolutely amazing and included! The staff was incredibly helpful and accommodating. 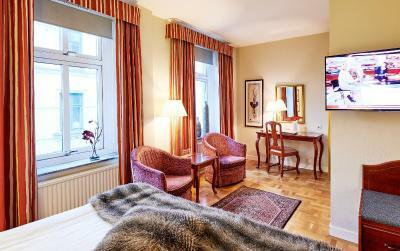 Bed comfy, people nice, location convenient, breakfast yummy, fika all-day, everyday... This is my third time staying here. 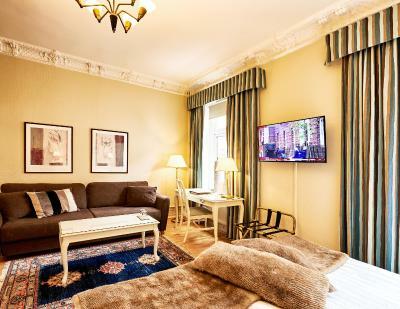 Friendly staff, good breakfast, easy walk from the train station & to restaurants and shopping. Complimentary tea, coffee, and cake. Reception staff were very friendly and very helpful. 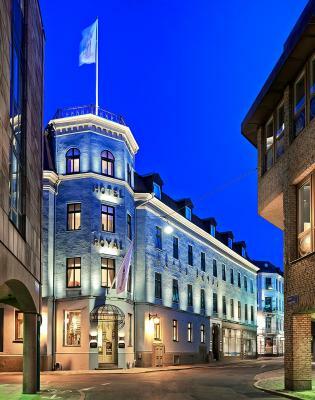 Splendid hotel with an old world charm! Super courteous staff! 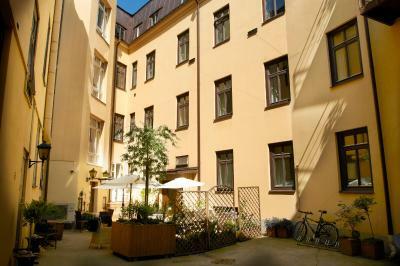 Excellent location, just a 5 min walk to central train & bus station and right in the shopping area. 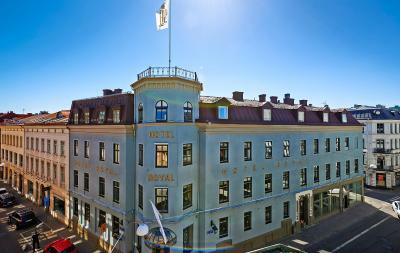 What an amazing hotel...the location is central in Gothenburg, a short walk to the metro for longer trips, but only a few blocks to the main streets. Very quiet location on a small street, with minimal traffic at night, while the multilevel garage across the street makes for convenient parking. The breakfast buffet is superior, with everything anyone could want, including a machine that makes all kinds of coffee, cappucino, etc. in the afternoon and evening,staff have fresh cakes/ pastry available for guests, along with coffee. What a treat. The rooms are beautiful and large. We were graciously given an upgrade once they saw how much luggage we had, which made for extra space, including a lovely couch and sitting area in the room. Spotlessly clean everywhere. The staff are superior in their service, proving recommendations for restaurants, as well as maps, directions, and info. This is an excellent choice for a hotel, and we would return any time. Very convenient o train station. Breakfast was outstanding. They put snacks out in afternoon. Free coffee or tea anytime. 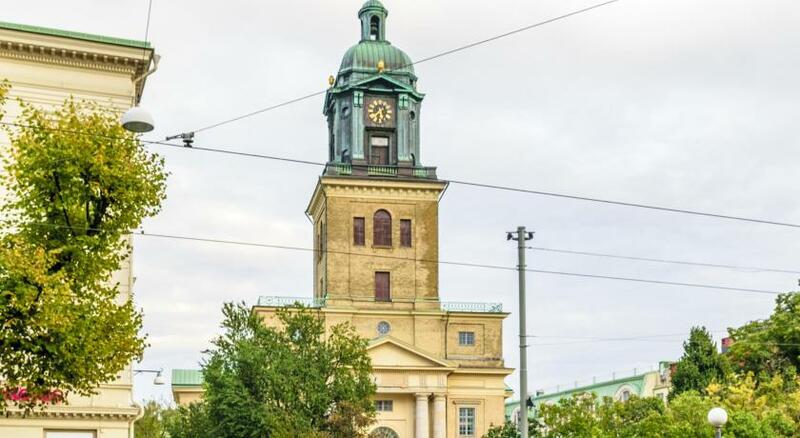 One of our top picks in Gothenburg – and a guest favorite. 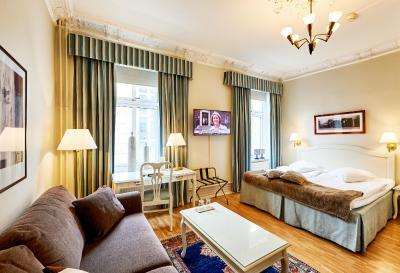 Dating back to 1852, this elegant hotel is a 5-minute walk from Gothenburg Central Train Station. It offers a peaceful inner courtyard, free Wi-Fi and free coffee/tea and homemade cake each afternoon. 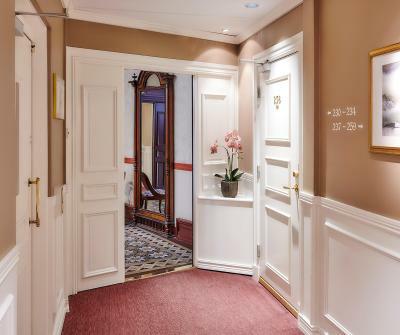 With Persian carpets, decorative curtains and old-style furniture, Hotel Royal’s rooms create a charming atmosphere. 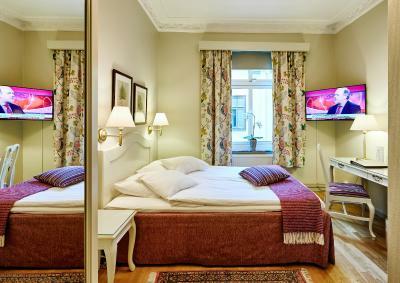 All rooms include a flat-screen TV. 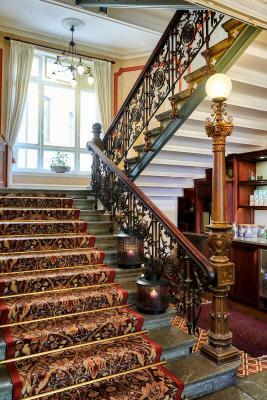 Royal Hotel’s beautiful lobby includes a patterned stone floor, a painted ceiling and an Art Nouveau-style marble staircase. 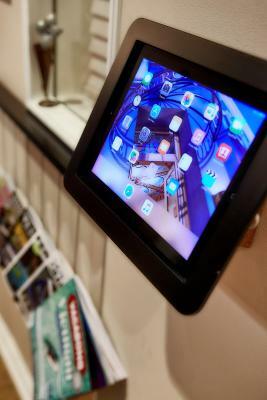 Guests can relax in the armchairs or read a newspaper here. 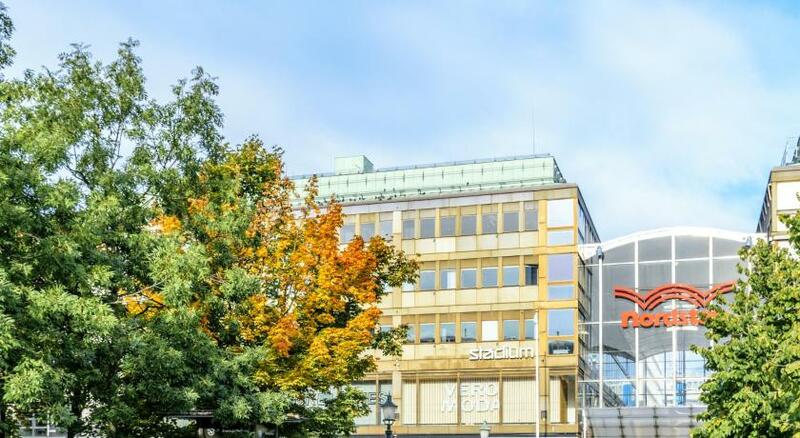 Attractions such as the Liseberg Amusement Park, Ullevi Stadium and Avenyn, Gothenburg’s main street, are all about a 10-minute walk away. Includes a flat-screen TV, work desk, and hardwood floors. 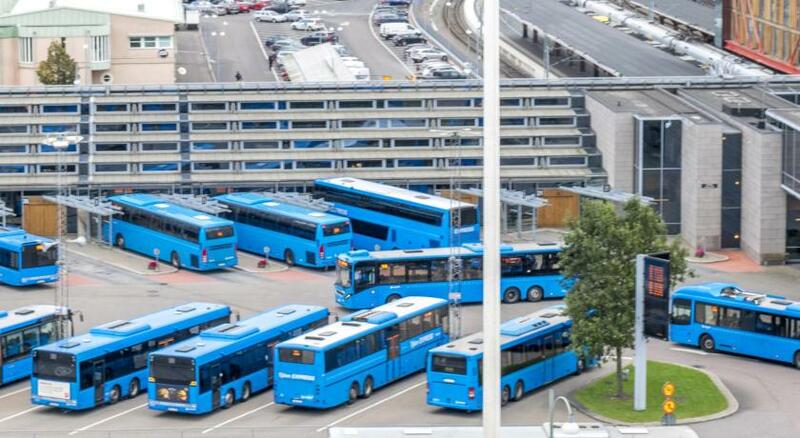 Public parking is available at a location nearby (reservation is not needed) and costs SEK 240 per day. 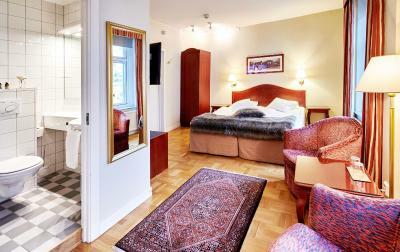 Spacious room with a large bed, flat-screen TV and bathroom with shower and hairdryer. Offers hardwood floors, a desk and flat-screen TV. 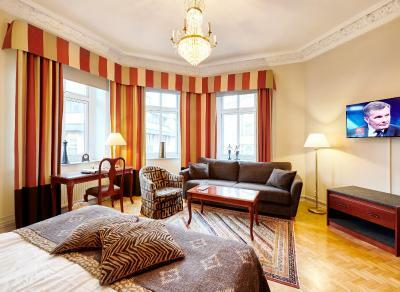 Spacious room with elegant décor, a seating area and a flat-screen TV with satellite channels. 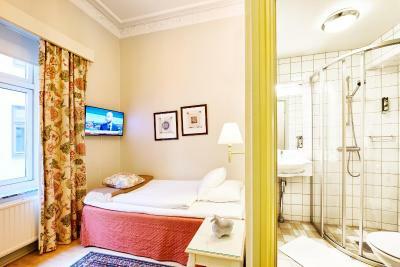 Compact room with hardwood floors and flat-screen TV. Compact room with hardwood floors, a desk and flat-screen TV. Please note that the bed is 4.6 ft wide. 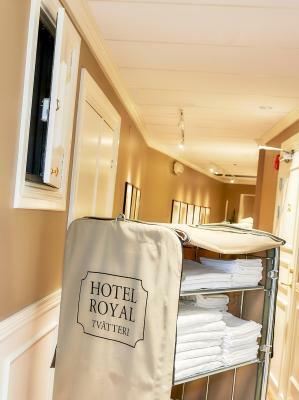 Our hotel has been family owned by since the Royal Hotel first opened in 1852. Our hand painted glass ceiling in the lobby, the hand wrought iron banisters and the old tiled floors give an ambience of times gone by. The house is carefully renovated and the owners have kept as many original features as possible while incorporating novelties as flat screen TV-sets and modern WIFI all through the building. Hotel Royal requires that the credit card holder’s name matches the guest’s name on the booking confirmation. The property may also request a copy of photo ID. If you wish to book for another individual, please contact the property directly for further information after booking. I cannot really remember anything to complain about. Excellent value for money. Staff very accommodating and pleasant to deal with, they really seem to care about their visitors. Since this is a family-run hotel it seems that they are given more free reign to act a bit ad-hoc when some sort of situation of any kind occurs. 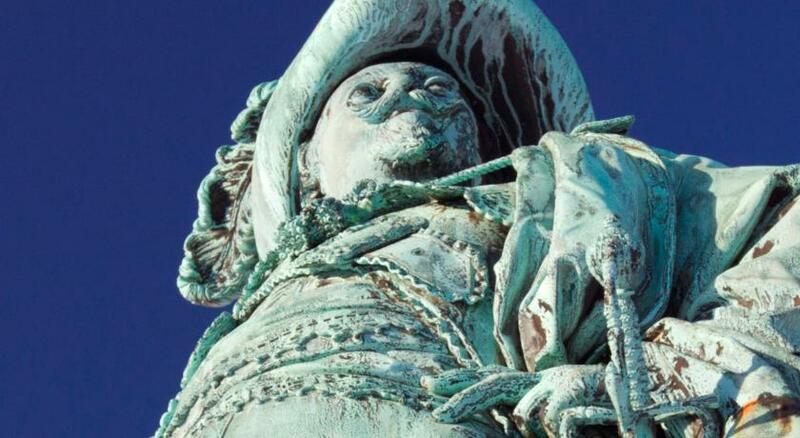 The hotel itself is beautiful with many details showing it's history back to the 19th century. One such example is the lavish glass-painted ceiling in the entrance. 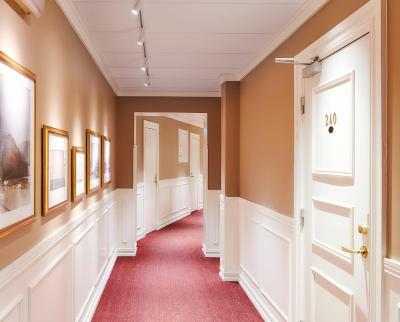 Even though the hotel is old, it has been carefully renovated up to modern standards. The room we received was spacious, equipped with air-con (used for heat since this was April) and has excellent beds. It was also cosy, very quiet and clean, with a whiff of old-world charm. The breakfast contains an abundance of tasty stuff and you can even bake your own waffles if you'd like. The areas designated for the breakfast are also spacious, airy and get plenty of light through the large windows towards the street. There is also a cosy courtyard where you can sit down with a cup of coffee (free in the reception 24/7, sometimes with a piece of free cake as well) or have a smoke. There is no bar of any kind, but if you feel like a glass of wine or something similar, you can buy that in the reception and sit down in one of the lounge areas (or bring to your room). Then there is the location, which is perfect! 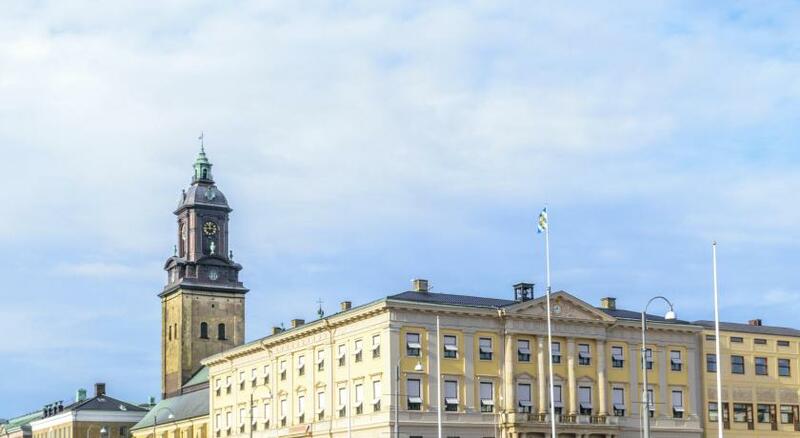 It's located in the centre of Gothenburg, close to most things you would like to visit, but still it's positioned on a rather quiet side-street with few cars speeding by. We encountered some noise from street outside. Appreciate This is outwith your control. I think they should have a hang-tag to say do not disturb or please clean my room. In the first day I went to have breakfast and I came back fee minutes later and they have been in my room. And I felt uncomfortable because my personal belongings was in the bathroom, in the second day a lade knocked my door and tried to come in. It wasn’t the right moment to clean up. But how the lady can know when is appropriate to clean if you don’t have a hag-tag? 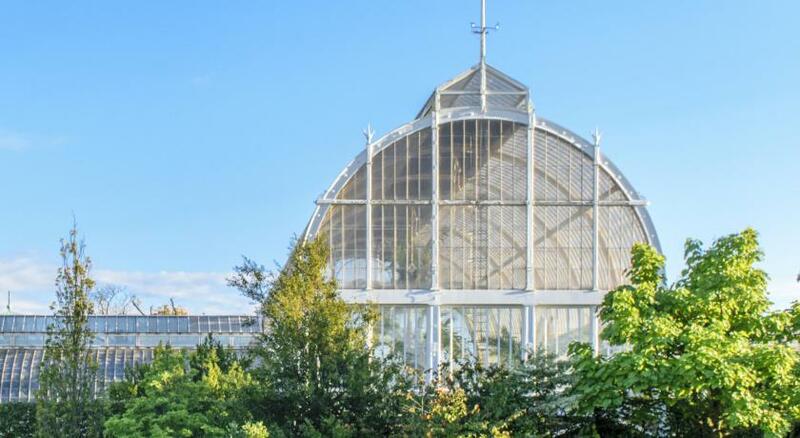 The location is amazing you can see the main attractions by foot. If you fancy a Fika They have Good coffee, tea and cake for free for the guest after 14:00. Everything. 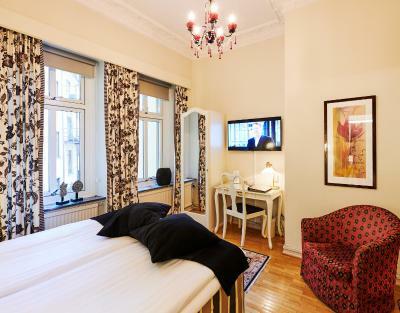 The location is wonderful, 4 mins walk from Central Station. The hotel is a piece of art itself. The staff are very friendly and helpful. Enjoyed my stay!! Loved the breakfasts, slept well and found the staff extremely helpful. The afternoon cake was a real treat! 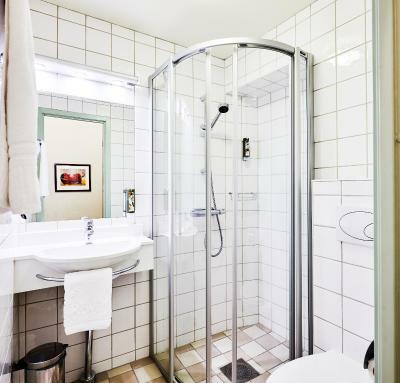 The location is perfect, between two big transport hubs and easily walking distance from the airport bus and the station. The staff was very friendly and helpful, accommodating a number of requests from my team for assistance. Excellent breakfast - loved the waffles! Welcoming staff in a wonderfully decorated and traditional hotel: triple AAA! The only thing which bothered me is the room size. Well probably nothing can be done about it, but I felt that the rooms are very small, as compared to other hotels. Staff was very friendly and hotel was very clean and tidy. Breakfast was nice in the morning and the breakfast lounge is very beautiful. 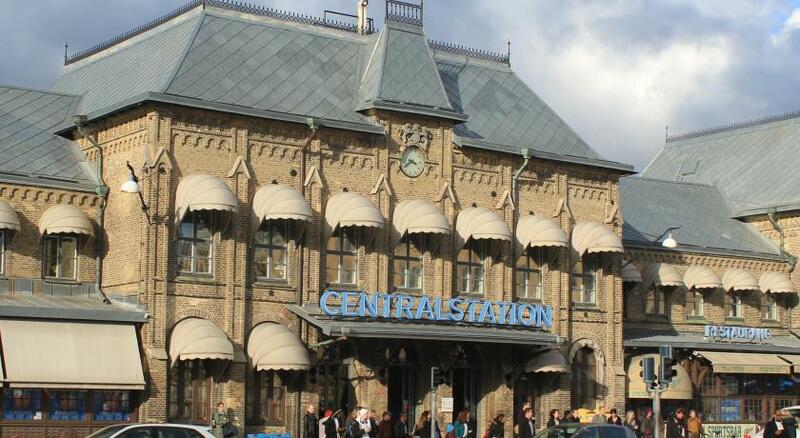 Location of the hotel is excellent, just in front of the railway station. Unfortunatly there was very thin walls so I could hear a lot from the neigbouring rooms. Very friendly and nice place. Great breakfest. The best scrambeled eggs I have had in a hotel ever (!!:-)). Also nice be offered cake with the free coffee/tea.